Official Stalker aka Crimson613 of My Fujoshi Life nominated me for the Spirit Animal Award. Kankitsu of Citrus Anime Reviews nominated me for the Three-Day Quote Challenge. 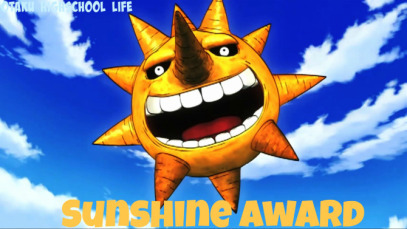 AnimePrince was kind enough to nominate me for a Sunshine Award. I want to thank Ignite18 of Marveously Mismatched for nominating me for the One Lovely Blog Award. 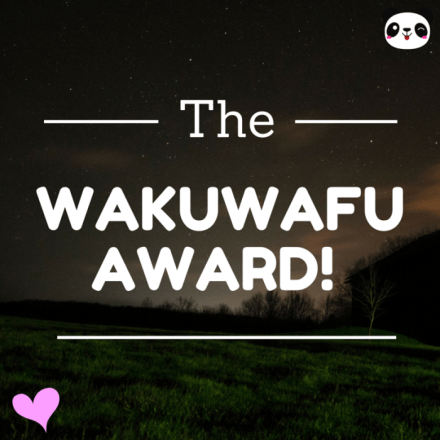 I want to thank Official Stalker aka Crimson613 of My Fujoshi Life for nominating me for the WakuWafu Award. The Fullmetal Narcissist nominated me for the Blogger Recognition Award! 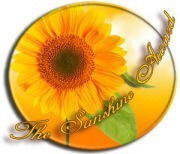 Masumi Amari of Morning Toast was kind enough to nominate me for a Sunshine Award. I want to thank Leaveit2me of Pop Culture Mecha for nominating me for the WakuWafu Award.